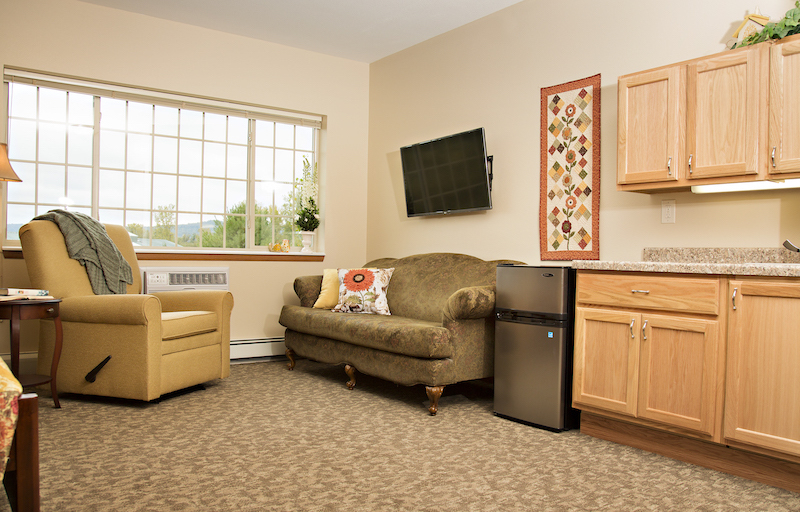 View the available layouts within SpringBrook Assisted Living! 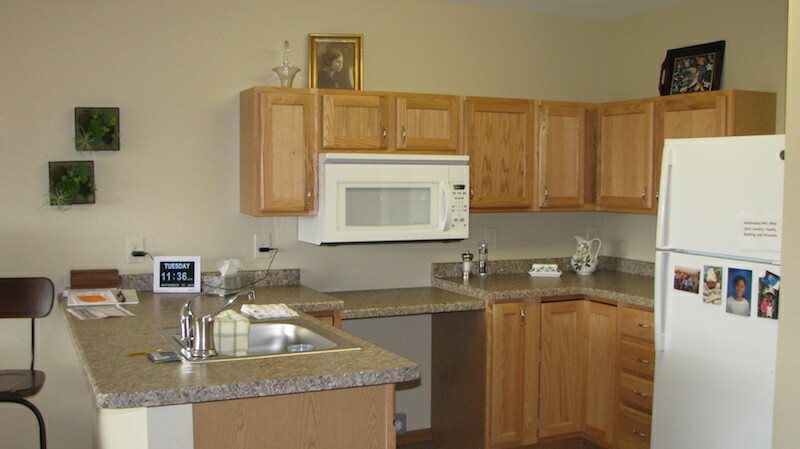 Our spacious one bedroom apartment includes a small kitchenette with refrigerator and microwave. 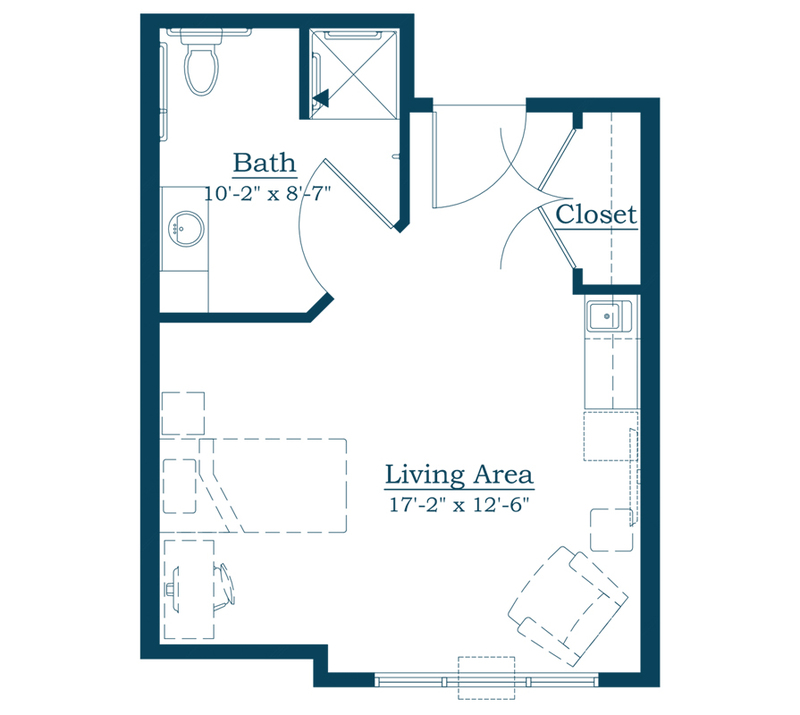 The large bathroom has a walk-in shower for your ease and comfort. 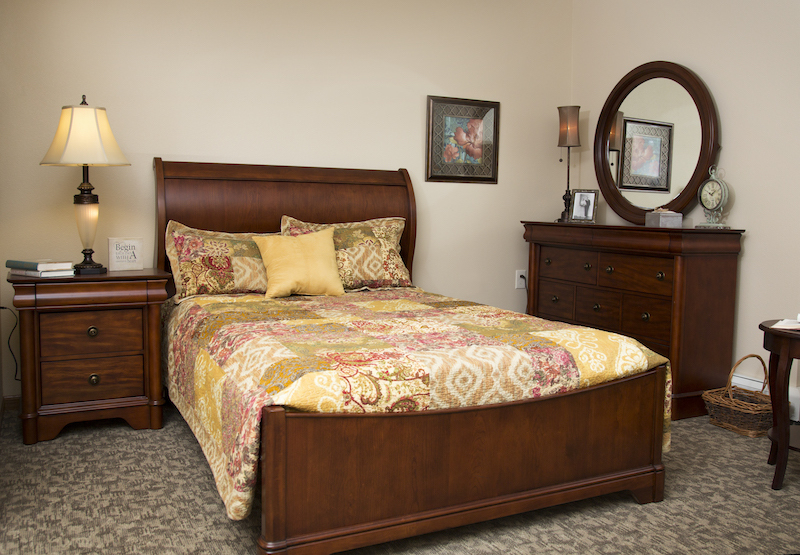 With many closets and cupboards, you will find spaces for all your treasured belongings and wardrobe. 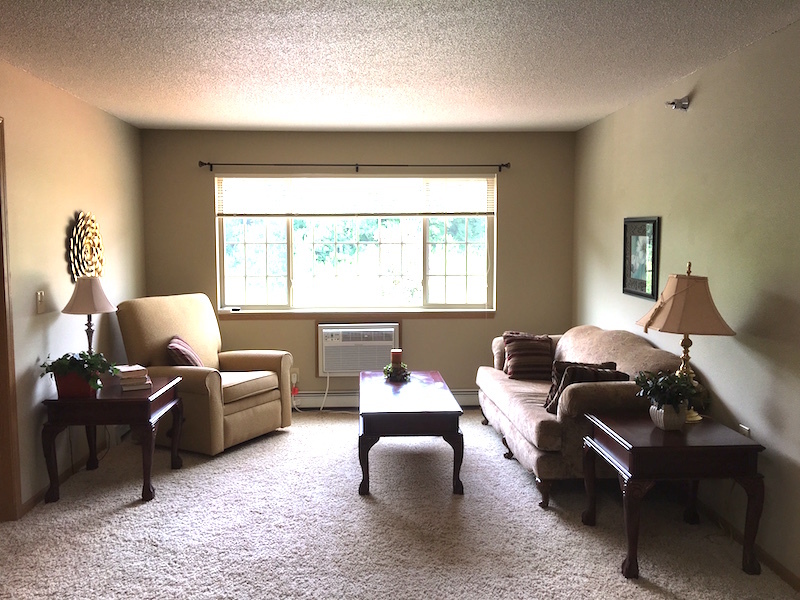 Depending on which apartment you choose, there living unit at SpringBrook Assisted Living are a variety of views including the wetlands and pond. 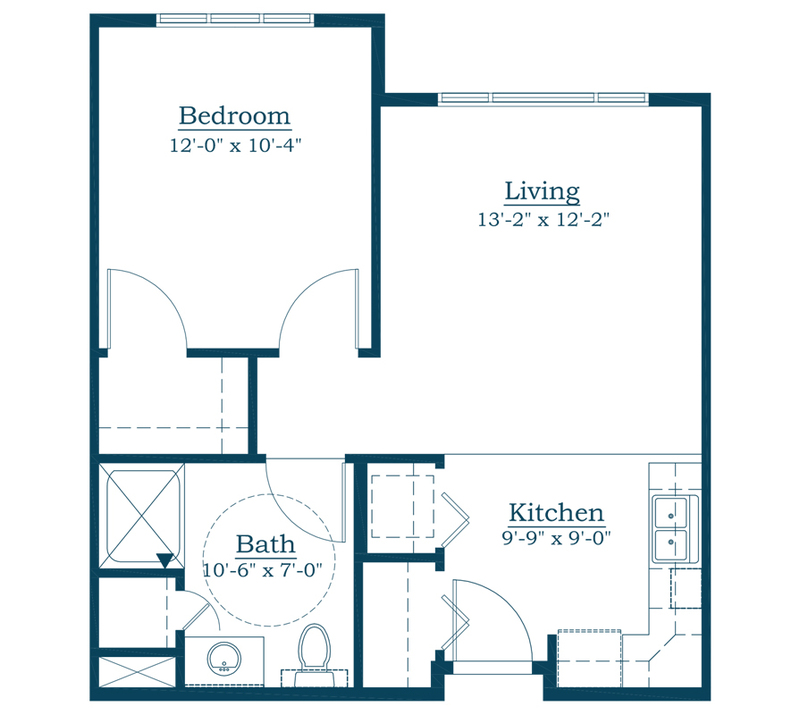 1 Bedroom: 12' x 10' 4"
Living Room: 13' 2" x 12' 2"
Living Room: 12' 6" x 10' 3"
Bathroom: 10' 4" x 8' 8"
Studio apartment layout features the following! 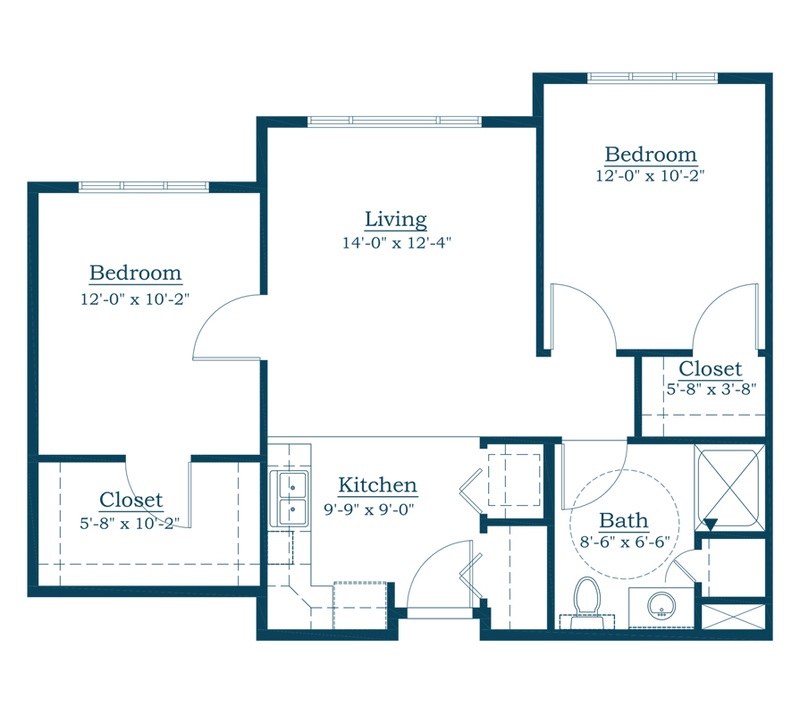 Living Room: 17' 2" x 12' 6"
Bathroom: 10' 2" x 8' 7"
2 bedroom apartment layout features the following! 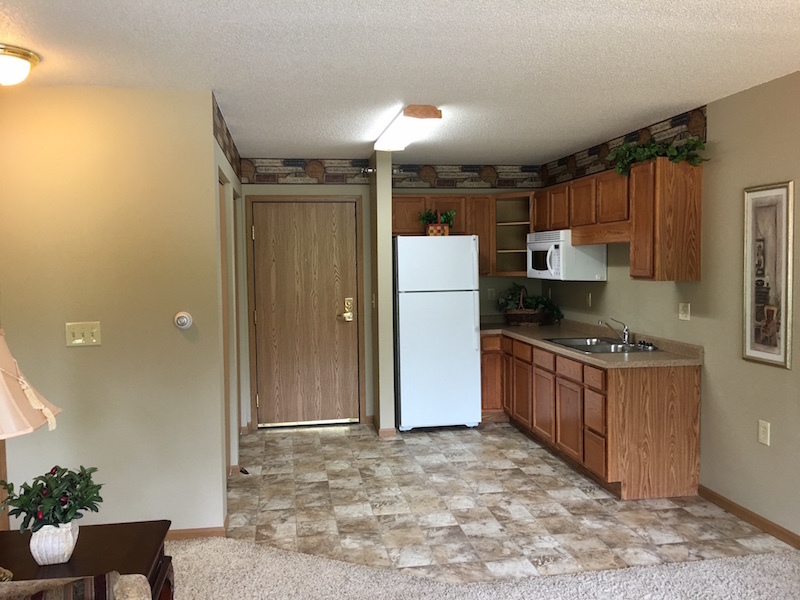 Lots of room to stretch out in our two bedroom apartment which includes a small kitchenette with refrigerator and microwave. 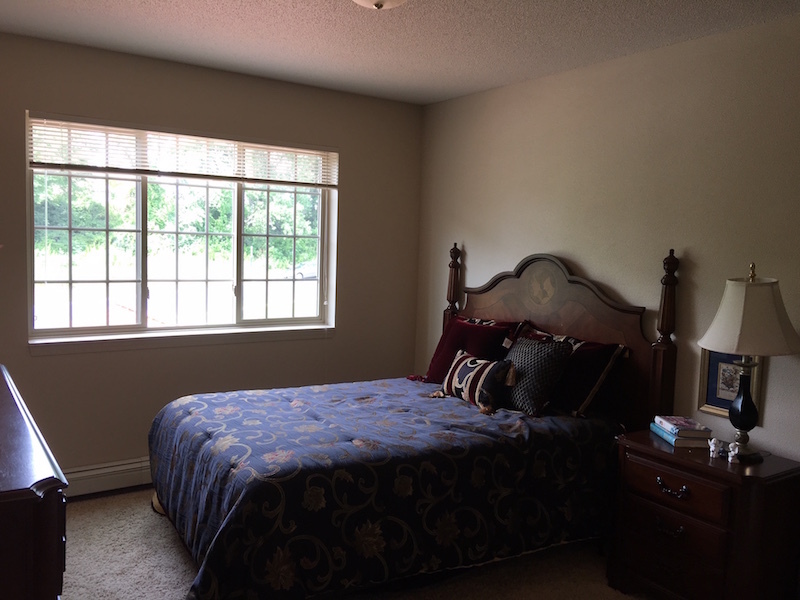 The 2nd bedroom can be used for guests or an office. We even have dear friends that choose to share an apartment! 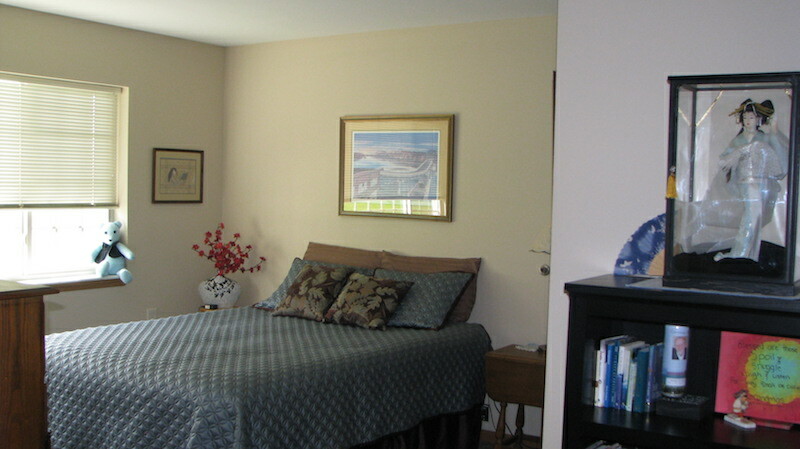 There is a large bathroom with a walk-in shower for your ease and comfort. With many closets and cupboards, you will find spaces for all your treasured belongings and wardrobe. 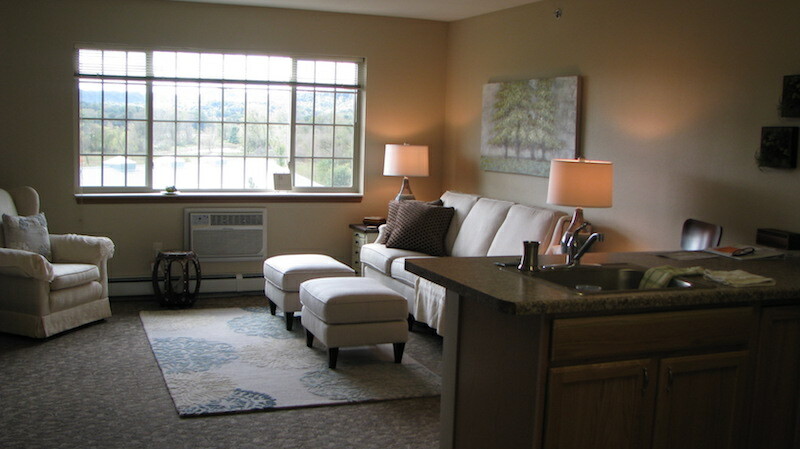 Depending on which apartment you choose, there are a variety of views including the wetlands and pond. 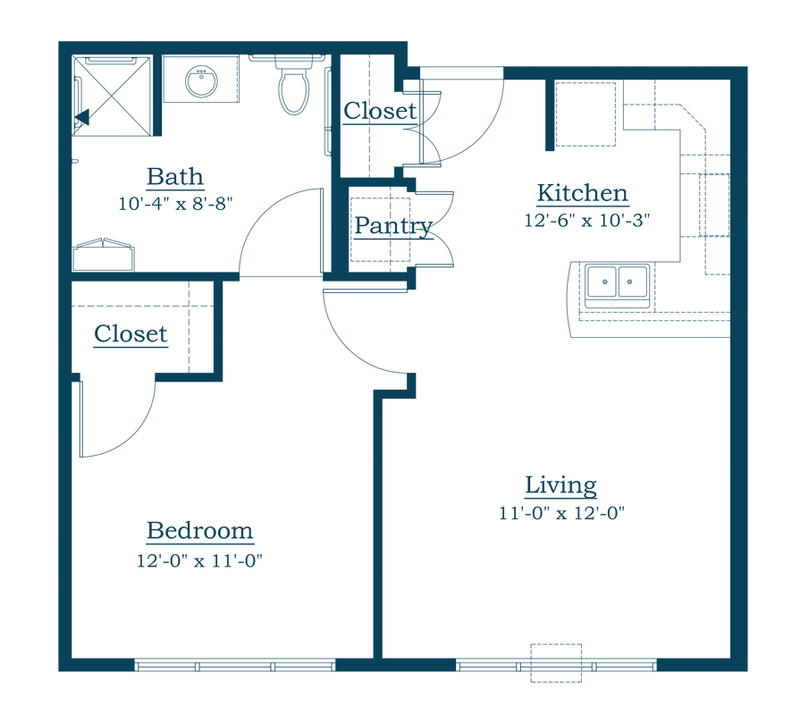 Bedroom 1: 12' x 10' 2"
Bedroom 2: 12' x 10' 2"
Living Room: 14' x 12' 4"
Bathroom: 8' 6" x 6' 6"
Closet 1: 5' 8" x 10' 2"